Lightweight and accurate. 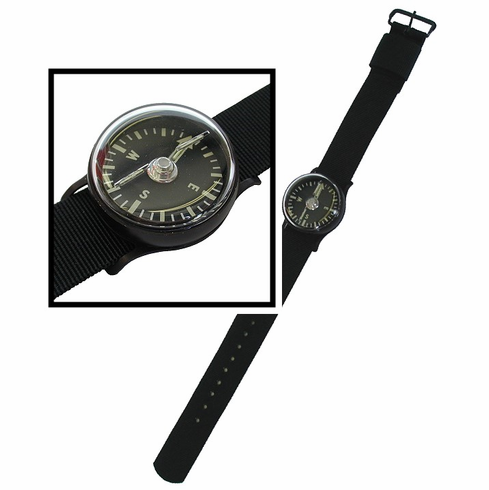 The CAMMENGA TRITIUM WRIST COMPASS provides easy on the go referencing for land navigation at day or night. This is the same "CAMMENGA" that makes all of the handheld lensatic compasses for the US Military. Constructed with a machined aluminum casing for durability in the most demanding conditions. Easy to read 10-degree phosphorescent graduations are enhanced with Tritium Micro Lights for visibility in total darkness, maintenance free, for over ten years. Includes a heavy-duty nylon wristband.